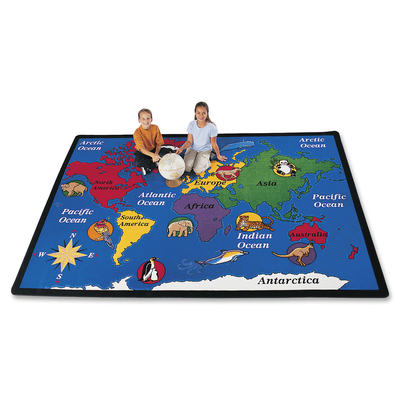 Rug Provides A Perfect Place For Children To Gather And Explore The Oceans And Continents Of The World. Memorable Images On A Brightly Colored Rug Help Teach Basic Geography. Rectangular Rug Is Safe For Children Of All Ages..
Rug Provides A Perfect Place For Children To Gather And Explore The Oceans And Continents Of The World. Memorable Images On A Brightly Colored Rug Help Teach Basic Geography. Rectangular Rug Is Safe For Children Of All Ages.